Summer is finally here, and that means, gardening season is upon us! This is my favorite time of year, because it gives me an excuse to frequent my local garden center, and spend lots of time outdoors tending to my garden. I may not enjoy pulling weeds, but the satisfaction I get when I walk past my beautiful garden is like no other. Incorporating garden art into the mix is a great way to showcase your personality in your garden. However, garden art is not exactly cheap. The solution? Do it yourself! 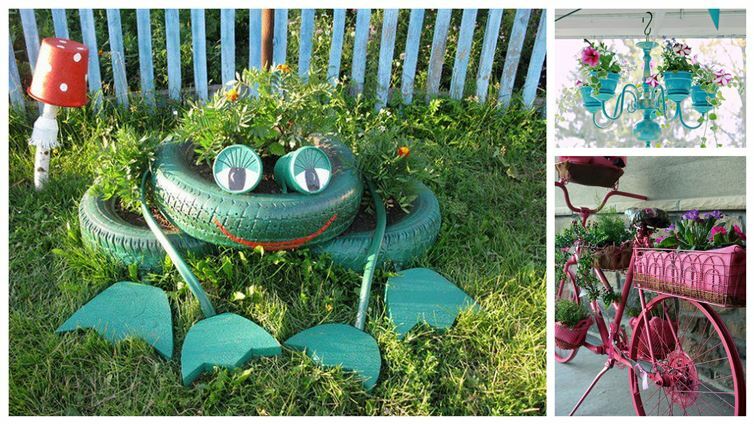 Here are 16 garden art DIYs you're sure to love.